A beautiful dry climate, 300 days of sunshine per year, stunning mountain vistas, friendly people and a charming downtown. Estes Park is a small town with a lot to love. Music festivals, Christmas parades, art shows and rodeos fill out an active social calendar, and quiet green spaces for picnicking abound. 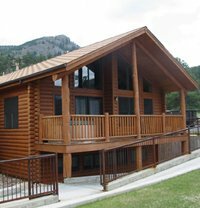 Plus, the town sits at the entrance to Rocky Mountain National Park, giving you access to one of the finest parks in the United States. The inspiring peaks and dizzying valleys will lift your spirits and stir your imagination. It's no wonder Estes Park is a favorite year-round destination. Celebrate winter with the Champagne Powder™ of Steamboat Springs. 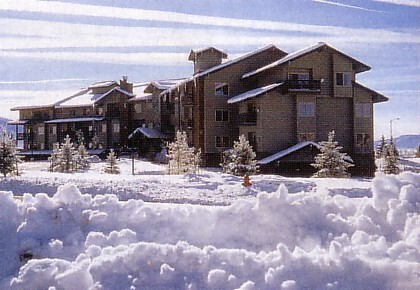 From the first touch of your skis to the snow, you’ll know you’ve arrived at the heart of Ski Town, USA©. Don’t ski? Don’t worry. A day’s lesson at a ski school will have you schussing down the slopes in fine form. Ice-skating, snowmobiling, or a smile-inducing sleigh ride o’er the fields of snow are also great ways to experience the high country. As the snow melts, the high country opens up to four and even class five river rafting, as well as fly-fishing, mountain biking (many pro-caliber racers live here), hiking and more. There’s so much to do that your sore muscles will appreciate a soak in the local hot springs that give the town its name.